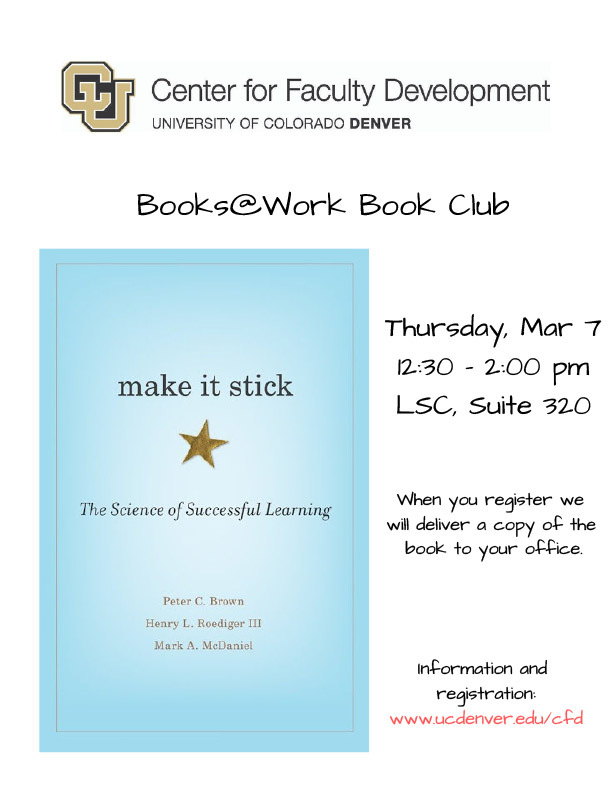 Books@Work: Make it Stick: The Science of Successful Learning March 7 – SEHD Impact! Campus Events & Services, Center for Faculty Development, News. permalink.